When travelling overseas you may incur overseas expenses. You may be able to bill these back to your clients, or your company may cover the cost. It’s important that you still enter these expenses into inniAccounts. 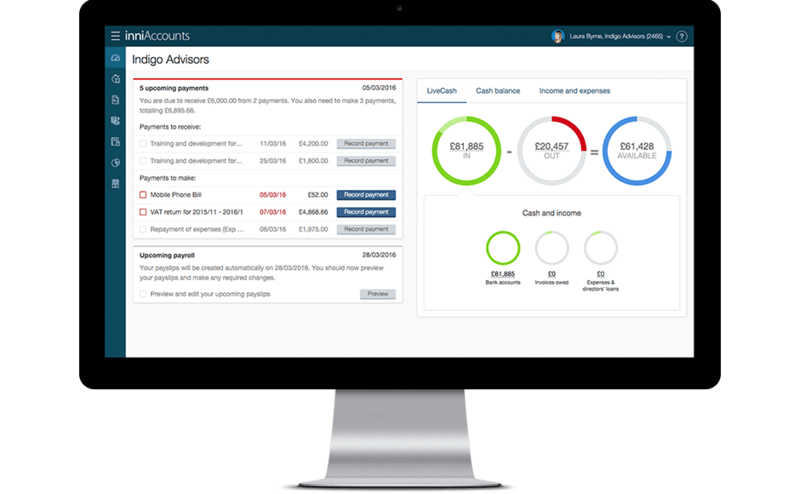 If for convenience you pay for expenses out of your own pocket rather than your company, you would enter them into the Personally incurred expenses section of the Quick Entry area. Simply take the gross amount of your receipt, inclusive of any local taxes, and convert it into £ using the exchange rate on the day. You can usually find this on your bank statement or Credit card bill. Enter the total amount for the expense into inniAccounts and set the VAT rate to Exempt. When you create your next payslip the expense will be included automatically for reimbursement. If you pay for the expenses out of your own pocket rather than your company, you would enter them into the Personally incurred expenses section of the Quick Entry area. Mark the expense as billable and click Save. Create a new invoice and attach the billable expense. Click the edit button to the right of the expense and change the VAT code from Exempt to Standard. Click the tick to the right to confirm the changes. You will notice that VAT has been calculated for the expenses as well as any other items listed on your invoice. If you pay the expenses directly from your business account or Credit card, you simply need to enter the transaction into your books directly as shown in Bookkeeping in inniAccounts. Take the gross value of the item, inclusive of any local taxes, and covert it into £ based on the exchange rate at the time. You can usually find this on your bank statement or Credit card bill. Enter the transaction as an outgoing in the Bookkeeping area and select Exempt for VAT. Enter the transaction as an outgoing in your Bookkeeping area and select Exempt for VAT. Select the client that you wish to bill the expense to. Click the edit button to the right of the expense and change the VAT code from ‘Exempt’ to ‘Standard’.